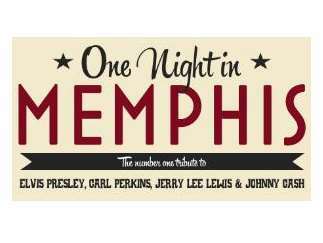 "One Night in Memphis" is a rocking concert tribute to the fabled Million Dollar Quartet: Carl Perkins, Johnny Cash, Jerry Lee Lewis and Elvis Presley. The show features over 90 minutes of authentic, high-energy rockabilly, country, gospel, and pure 1950s rock'n'roll. Created and directed by John Mueller, who also created "Winter Dance Party."